The hilum of the lung is the wedge-shaped area on the central portion of each lung, located on the medial (middle) aspect of each lung. The hilar region is where the bronchi, arteries, veins, and nerves enter and exit the lungs. This area can be difficult to visualize on a chest X-ray, and further tests such as a CT scan with contrast are often needed to determine if a problem exists. Enlargement of the hilum may occur due to tumors (such as lung cancer), pulmonary hypertension, or enlarged hilar lymph nodes due to conditions such as infections (especially tuberculosis and fungal infections), cancer (either local or metastatic), sarcoidosis, and more. Both the right and the left lung have a hilum which lies roughly midway down the lungs, and slightly towards the back (closer to the vertebrae than to the front of the chest). Each lung may be visualized as having an apex (the top), a base (the bottom), a root, and a hilum. The major bronchi, pulmonary arteries, pulmonary veins, and nerves are the structures which enter and exit the lungs in this region. Lymph nodes, called hilar lymph nodes, are also present in this region. Both hilum are similar in size, with the left hilum usually found slightly higher in the chest than the right hilum. Abnormalities in the hilum are usually noted on imaging studies, but further tests are procedures are often needed to determine if a problem is present, and where. On a chest x-ray, the hilar region reveals a shadow which consists of the combination of lymph nodes, the pulmonary arteries, and the pulmonary veins. Due to the overlap of these structures, it can sometimes be difficult to detect enlargement of these lymph nodes or the presence of a mass in this region. This is one of the reasons why ordinary chest x-rays can miss lung cancer. Chest CT scans (especially with contrast) can lead to better visualization of these structures. A PET scan is sometimes very helpful if a tumor is suspected. Depending on the particular study, the radiologist may note hilar enlargement, and if present, if a hilar mass may be present or if hilar lymphadenopathy (enlarged hilar lymph nodes) are present. In addition to imaging tests, abnormalities in the hilar region may be identified with tests such as a bronchoscopy, a test in which a tube is inserted through the mouth and down into the major airways (bronchi). An ultrasound done via an ultrasound probe inserted during a bronchoscopy (an endobronchial ultrasound) can sometimes obtain samples of abnormal tissue lying near the major airways. A test called a mediastinoscopy (a surgical procedure in which a surgeon is able to explore the area between the lungs, including the hilar lymph nodes) may be needed to better visualize the region or to obtain a biopsy sample, though PET scanning has replaced the need for this procedure in many cases. The hilar region of the lung may be affected by tumors (including both primary tumors and metastatic tumors), enlargement of hilar lymph nodes, or abnormalities of the pulmonary arteries or veins. 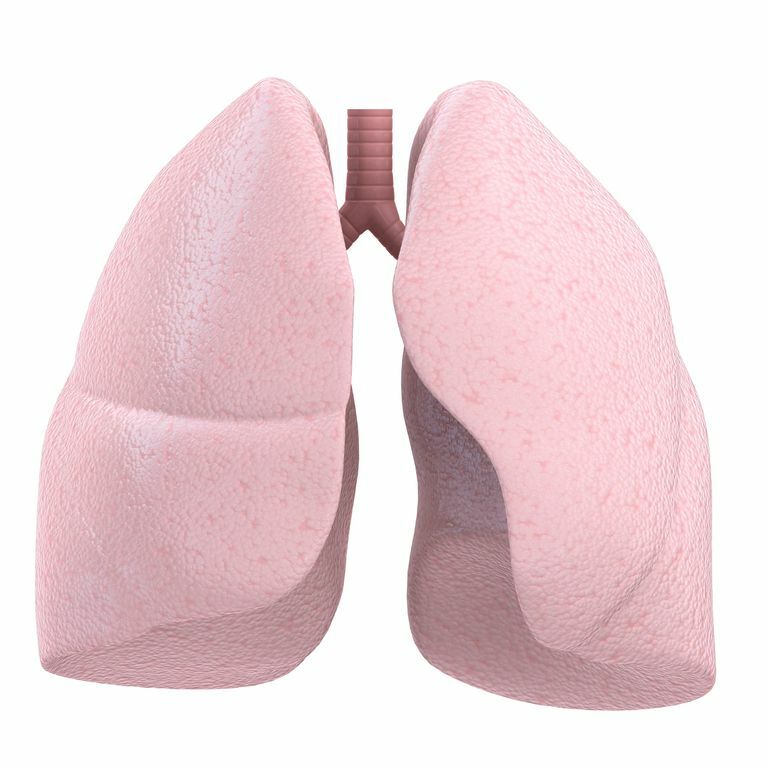 Enlargement of the hilum may be noted when imaging studies are done to evaluate symptoms such as a persistent cough, coughing up blood, shortness of breath, or recurrent respiratory infections, or may be found incidentally on a test such as a CT scan. Both masses and enlarged lymph nodes may be due to cancer or benign causes. Some apparent abnormalities of the hilum may simply be due to positioning, and further views may rule out problems. If a mass or enlargement is noted, possible causes can vary depending on the appearance. Symmetric (bilateral enlargement: Enlargement of both hilar regions may suggest conditions such as sarcoidosis or pulmonary hypertension. Asymmetric (unilateral) enlargement: When only one hilar region is enlarged, causes such as tumors are more likely. Displacement: The hilar region may be displaced (lie in a different position than usual) with conditions such as a pneumothorax. Tumors and lymphadenopathy. Cancers such as lung cancers and lymphomas, as well as cancer that has spread to this region from other parts of the body (metastatic cancer) can cause masses in this region. Possible causes of enlarged hilar lymph nodes (lymphadenopathy) are discussed below. Pulmonary venous hypertension (elevated pressure in the pulmonary veins). Pulmonary venous hypertension may occur due to medical conditions such as heart failure and heart valve problems such as mitral stenosis and mitral regurgitation. Increased pulmonary blood flow. Conditions such as cyanotic congenital heart disease (heart defects present at birth which cause a blue tinge to the skin due to a reduced oxygen content) can result in increased pulmonary blood flow. Lung cancer. Lung cancer is the most common cause of unequal hilar regions in adults, both due to the presence of tumor and to the presence of involved lymph nodes. Other cancers. Metastatic breast cancer can lead to hilar lymphadenopathy both due to the spread of the cancer to this region and due to involved lymph nodes. Lymphoma and other mediastinal tumors may also lead to enlarged hilar lymph nodes as well. Tuberculosis. Worldwide, tuberculosis is the most common cause of hilar adenopathy in children. Inflammation. Conditions such as sarcoidosis, amyloidosis, and silicosis can cause hilar lymphadenopathy. Sarcoidosis is the most common cause of bilateral hilar lymph node enlargement, especially in young adults. The hilar lymph node enlargement with sarcoidosis is usually symmetric in contrast to other common causes. Drug reactions are also a relatively common cause of hilar adenopathy. Other infections. Infections such as mycobacteria, viral infections such as infectious mononucleosis, berylliosis, tularemia, histoplasmosis, and coccidiomycosis can lead to enlarged lymph nodes in this region. In the United States, histoplasmosis is common in the Ohio and Mississippi River Valleys, with coccidiomycosis more common in the southwestern states. Other causes. Castleman's disease is a condition characterized by abnormal lymph tissue. Heart failure may also lead to hilar adenopathy. There are a number of conditions that can cause an abnormal appearance of the hilum on imaging studies, many of which are serious. The first step, however, is to make sure that any findings are not due simply to malposition of the body when taking these films. With the number of structures that pass through this area, even mild rotation may give the appearance of an abnormality when none is present. Tumors, both primary and metastatic, are a far too common cause of both hilar masses and lymphadenopathy. The most common causes overall include tuberculosis worldwide, and conditions such as histoplasmosis, coccidiomycosis, and sarcoidosis in the United States. If your doctor notes an abnormality on your exam, further testing will be indicated. She will also ask a careful history looking for any other symptoms suggestive of a tumor, infection, or inflammatory process. Most of the time a biopsy will be needed to obtain a definitive diagnosis. Example: John was told that the cancer in his right lung had spread to his hilar lymph nodes, lymph nodes near the area where the bronchi enter the lungs. Nin,C., de Souza, V., do Amaral, R. et al. Thoracic Lymphadenopathy in Benign Diseases: A State of the Art Review. Respiratory Medicine. 2016. 112:10-7. Sarkar, S., Jash, D., Maji, A., and P. Anupam. Approach to unequal hilum on chest X-ray. The Journal of Association of Chest Physicians. 2013. 1(2):32-37. Tyan, C., Machuca, T., Czarnecka, K. et al. Performance of Endobronchial Ultrasound-Guided Transbronchial Needle Aspiration for the Diagnosis of Isolated Mediastinal and Hilar Lymphadenopathy. Respiration. 2017. 94(5):457-464.